"Establishing a new standard for value, Barracuda offers high performance, operational economy and Lancair's trademark aerodynamic style in a cost-effective package for two. We've taken the Lancair's design legacy and the best features of the Mako and created an entry-level Lancair for the pilot who wants maximum performance with a minimum investment of build time and budget. We're expecting Barracuda to be a new leader in the 2-seater performance market." Said Lancair President Conrad Huffstutler. Providing exceptional value in a 2-place composite aircraft, Barracuda's sleek design has been developed from the classic Lancair Legacy. The innovative 'auto-retracting' nose gear from the Mako adds 10-12 knots to the aircraft's cruise speed by 'cleaning up' the turbulent slipstream behind the propeller. The nose gear is operated by a fully automatic retraction/extension system that requires no action by the pilot. Numerous options will be available to customize the aircraft to the owner's budget and mission needs. With the standard Lycoming IO-390 4-cylinder engine putting out 210 hp, Barracuda offers highly competitive performance and excellent handling throughout the flight envelope. Cruise speed of over 200 mph and fuel consumption of 10 to 12 gph are expected, along with excellent climb rate, range and useful load. With the "speed wing" option and 310 horsepower Continental IO-550-N power plant, the aircraft cruises at over 220 knots at 14-16 gph. Barracuda pricing starts around $175,000 for a complete kit, including airframe, engine, propeller and avionics. Lancair's renowned Builder Assist Program is available to help buyers rapidly advance their aircraft to completion. Conducted at our Uvalde, TX factory, the program allows new owners to completely close out critical airframe structures, providing fixtures, supplies and one-on-one training and support. Lancair's basic 2 week Builder Assistance program is included with every sale. A fully completed "Fly-Away" aircraft program is also available for an additional cost. From the time of its launch, the Carbon Cub was a lightning rod for controversy. "The industry, the media, and even the FAA told us all that an LSA could produce no more than 100 horsepower and fly at a maximum speed of 120 miles per hour", says Jim Richmond, CubCrafters Founder & CEO. "I didn't see those limitations when I read the rule, and I knew that we could use a much more powerful engine and qualify for LSA". Carbon Cub LSAs were thus equipped with the newly developed CC340 powerplant, producing 180 horsepower. Celebrating a full decade of Carbon Cub adventures, Cubfest 2019 will be hosted by CubCrafters from October 11th through 13th, 2019 at McAllister Field Airport (KYKM) in Yakima, Washington. All are welcome and full program details will be announced prior to the event. 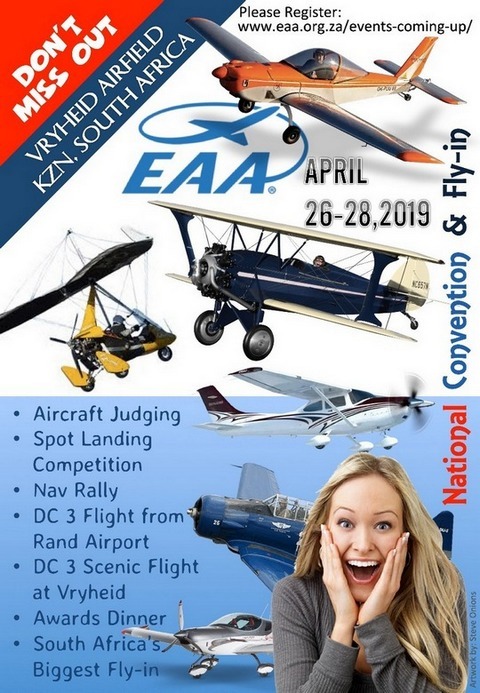 Pilots, tailwheel enthusiasts, and anyone who loves aviation is encouraged to mark their calendar. PIPER INTRODUCES THE NEW PILOT 100 AND PILOT 100i TRAINER AIRCRAFT. Piper Aircraft announced two new value priced additions to its trainer-class line, the Piper Pilot 100 and Pilot 100i. These new products enter the trainer segment at a competitive price point of $259,000 VFR equipped and offer the same rugged durability and functionality as its stablemate, the Archer TX. Photo © Piper. In a new step aligned with Daher's TBM e-copilot® strategy of introducing increased functionality for operational safety improvements on the TBM product line, the TBM 910 has an automatic icing detection system that provides automated protection while keeping the pilot fully in the loop. 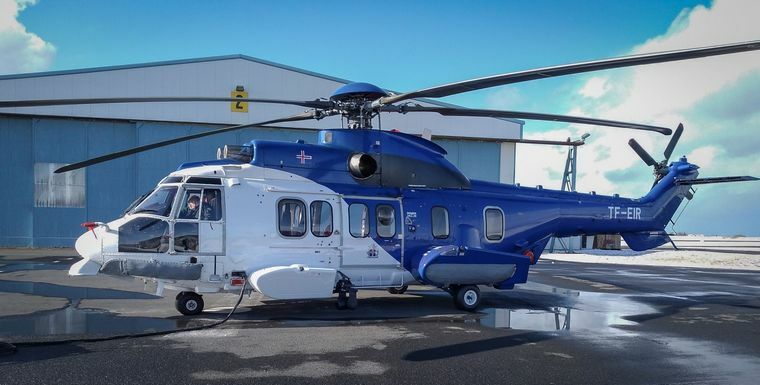 When icing or ice accretion is detected by an externally-mounted sensor - and if the pilot does not take action - the automatic icing detection system will activate de-icing devices such as the airframe, windshield, propeller and the engine's particle separator. An amber CAS (Crew Alerting System) message is displayed by the avionics, advising the pilot to clear the automatic activation and revert to the manual control mode. "This added protection - which also is incorporated on the recently-unveiled TBM 940 - is part of our constant drive to use intelligent functionality in further improving safety and operability, and are firsts for production aircraft in the TBM's category," said Nicolas Chabbert, Senior Vice President of the Daher Airplane Business Unit. "These new standards redefine the ultimate private aircraft: user-friendly, safe and efficient for both pilots and passengers." As the entry-level member in Daher's TBM product line, the TBM 910's 2019 definition also includes G1000 NXi avionics suite features that are incorporated in the high-end G3000 advanced flight deck of the TBM 930 and the TBM 940. They are: Surface Watch™, which helps the pilot maintain enhanced situational awareness in the airport environment; Baro VNAV, allowing approaches with vertical guidance when Wide Area Augmentation System navigation is not available; and visual approach assistance for the TBM pilot in performing visual approaches on non-controlled airports with vertical guidance. In the TBM 910's cabin, Daher has incorporated ergonomic and style upgrades changes for 2019 that range from redesigned seats, additional thermal insulation for the cabin sidewalls and a new central shelf with side storage to an additional 115V electrical outlet at the right rear seat panel, and USB ports (bringing the overall total of USB ports to six for passengers and three for the pilots). "Many cadets tell us that the first time they take to the skies is one of the most exhilarating and important moments within their training journey. That's why we are continuously exploring ways to improve both the quality and capacity of our training facilities," said Geoff van Klaveren, Vice President of Airline Academy, which is part of L3 Commercial Aviation. "This significant investment in expanding and modernizing our fleet with these brand-new aircraft will help us in our aspiration to provide the highest-quality training while meeting the increasing international demand for new pilots from our airline customers." "We are delighted to sign this long-term agreement with L3, knowing that trusted Piper trainer aircraft will once again launch thousands of aspiring pilots' careers around the world," said Simon Caldecott, CEO and President of Piper Aircraft. "Our advanced training aircraft are the ideal classrooms for cadets to learn and first experience the unique joy of flying." The new aircraft will be based at L3's Airline Academies in Florida, U.S.; Ponte de Sor, Portugal; and in the U.K. The deal represents a significant investment in L3's infrastructure and training capacity throughout its international footprint. "Jessy is as reverent to the demands, the art form, and the discipline required for aerobatic flight as anyone else I've seen," Tucker said. "I'm thrilled to fly with Jessy and share the magic of flight as a team with millions of fans this year. This season is truly one fans won't want to miss. It will be a farewell to the Oracle Challenger III before it heads to the National Air and Space Museum for the 'We All Fly' gallery opening in 2021, plus it's an awe-inspiring debut as a team. We've been working with coach and master of flight Bill Stein to put together a one-of-a-kind performance." Panzer is a graduate of Embry-Riddle Aeronautical University and a certified flight instructor in airplanes, rotorcraft, and seaplanes. She began flying aerobatics in 2000 and in 2012 joined the U.S. Advanced Aerobatic Team. She flew her first air show in Fairmont, Nebraska, the site for the 2003 Nebraska State Fly-In. In 2004, she qualified in the Formula One Class to race at the Reno National Championship Air Races. Panzer's path first crossed with Tucker and Stein in 2005 when she was invited to be mentored by the two along with Wayne Handley on the Stars of Tomorrow Aerobatic Flight Team. Panzer will fly the Oracle Extra 300L alongside Sean D. Tucker's Oracle Challenger III. "When I'm flying aerobatics, I am in tune with the universe," Panzer said. "It's an honour to fly aerobatics and I am so humbled to fly alongside and under the mentorship of Sean Tucker. He's been an inspiration to me ever since I began my career in flying." The Team Oracle Performance begins in close formation action with Panzer flying the Oracle Extra 300L off the wing of Tucker's Oracle Challenger III. Then the chase ensues with a loop and a clover down split into opposing solos. Tucker, in front, thrills the audience with signature manoeuvres such as the centrifuge, an inside-outside loop, Tucker upper, and snap and torque rolls. Simultaneously dancing in the sky, Panzer delights with the hammerhead, avalanche, Immelmann, and other breath-taking manoeuvres. The team then re-joins in a torque circle for some close formation work before a charming speedo heart departure. China, Wuhan Tianhe International Airport: A passenger of a flight in northwest China was detained by police after throwing three coins at a plane for good luck as he was boarding a flight. CCTV footage of the incident shows the man dropping the coins through a gap between the plane and jet bridge just before walking onto the flight. Three 1 yuan coins were found on the ground near the engine. Airport security alerted staff of the flight and the man was taken off the plane and questioned. The man was reportedly detained for 10 days for endangering the safety of the 101 passengers on board. This is not the first time a passenger has gotten in trouble for throwing coins at a plane's engine for good luck. In February, a man caused $21,000 in damage and caused a delay to his flight after throwing two one yuan coins at the engine of a Lucky Air plane. Canada, Ottawa: An Air Canada Airbus A321-200 on a flight from Vancouver to Ottawa with 170 passengers and 6 crew on board was on final approach when the aircraft flew through a flock of birds and suffered multiple impacts causing the number #1 engine to flame out and fail. The crew declared Mayday and continued for a safe landing but became disabled on the runway due to the failure of the hydraulic system. Canada, Toronto: A United Airbus A320-200 on a flight from Toronto to Denver, (USA) with 71 passengers and 5 crew on board was in the initial climb out from Toronto when the crew was unable to control the thrust on the left hand engine. The crew worked the related checklists, shut the engine down and returned to Toronto for a safe landing about 14 minutes after departure. 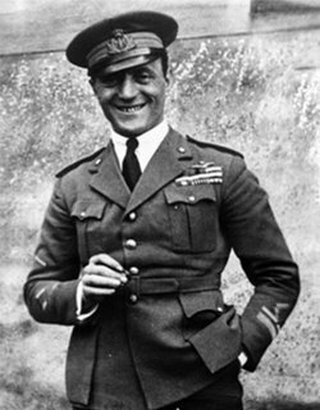 The Italian World War I ace and famed seaplane racing pilot Mario de Bernardi is performing aerobatics in a light plane over a Rome airport when he begins to experience a heart attack. De Bernardi was born on 1 July 1893 in Venosa, Italy. In 1911, at the age of 18, he served in the Italian armed forces during the Italo-Turkish War where he witnessed the first military use of airplanes in combat. He returned to Italy resolved to become a pilot, and he received his pilot's license in 1914. 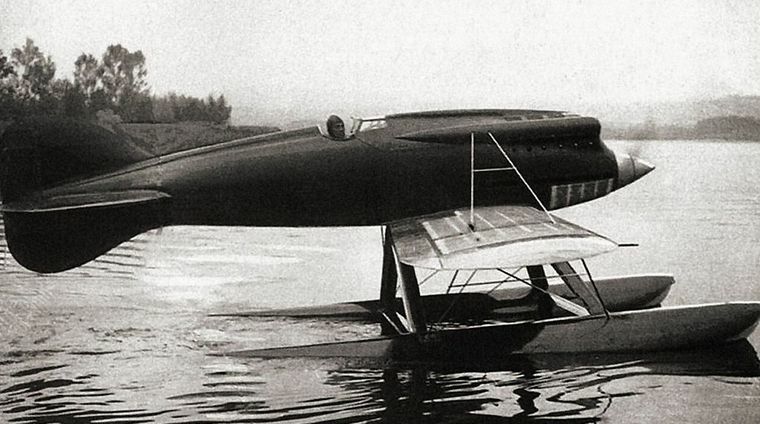 After World War I, de Bernardi began racing seaplanes in the international races being held at the time. Perhaps his greatest success in these races came on 13 November 1926, when then-Major de Bernardi, representing Italy, won the Schneider Trophy race at Hampton Roads, Virginia, in the United States. He completed the course in a Macchi M.39 with an average speed of 396.698 kilometres per hour (246.497 mph) on a 350-kilometer (217-mile) circuit; this was a new world speed record for seaplanes. On 27 August 1940 de Bernardi piloted the Caproni Campini N.1 - sometimes called "Caproni Campini CC.2" - experimental motorjet aircraft on its first flight; the Fédération Aéronautique Internationale considered it the first successful flight of a jet aircraft until news of the August 1939 flight of the German Heinkel He 178 jet later became public. On 30 November 1941 de Bernardi flew an N.1 from Milan to Guidonia Montecelio in about two hours carrying aerograms with canceled postage stamps, becoming the first pilot to carry air mail in a jet aircraft. On 8 April 1959 de Bernardi went to a Rome airport to see a German light plane demonstration, and flew his own light plane, showing off his aerobatic skills. While in the air, he began to experience a heart attack. He managed to land the aircraft, only to die minutes later at the age of 65.